Brazil’s Diogo Soares won the bronze medal in the men’s artistic gymnastics all-around final and his success came as such a surprise that it took several media interviews for him to absorb it. 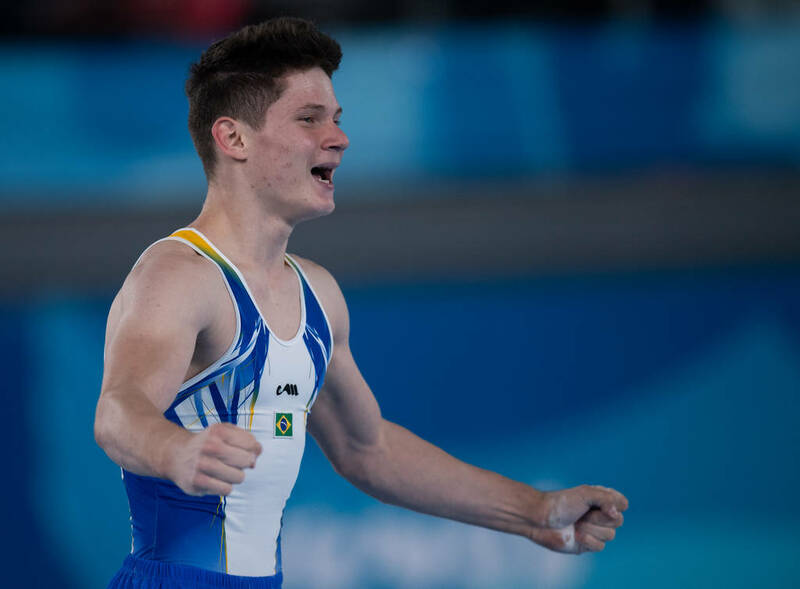 Soares, competing in his first major competition and who qualified for the final in sixth place, finished behind gold medallist Takeru Kitazono (JPN) and Sergei Naidin (RUS), who won silver, to claim Brazil’s first men’s all-around Youth Olympic Games medal. “The more interviews I give, the more I realise that I have won a bronze medal here,” Soares, 16, said. “My dream is not a dream any more. It actually came true. I have done everything to win this medal. “All the times that I have suffered so much went through my mind during the competition. Now I don’t even think about those times any more just because I have this bronze medal around my neck. Soares competed well on each of the six apparatus to finish 0.134 points ahead of Brandon Briones (USA) in fourth place. Kitazono, meanwhile, clinched gold ahead of Naidin, and became the second Japanese gymnast to win the men’s all-around at the Youth Olympic Games, following Yuya Kamoto’s victory at Singapore in 2010. “I am really happy to have done what I expected to do,” said Kitazono, who was also part of the Japan team that won gold at the Junior Asian Championships in Kazakhstan in 2017. Yin Dehang (CHN), who had qualified for the final in third place, sat down during his very first tumble in the floor exercise and failed to make up for it, finishing in seventh place. The format enabled Bohloulzade Hajlari, competing in subdivision 1, to watch many of his competitors closely. “Only the top 18 made it to this final and to be among the top 18 is incredible for me,” the 17-year-old Iranian said.